Environmentally friendly low-cost car market or the Low Cost Green Car (LCGC) is becoming one of the much coveted consumer segment in Indonesia. Of course the reason is cheaper becoming one of the alternatives have a car. However, this time the car manufacturers who participated in the focus of the LCGC segment hatchback. In fact, the Indonesian market is very exciting if the model is made is the MPV (Multi Purpose Vehicle), as did Indonesia with its products Datsun Datsun GO+ Panca with 5+2 configuration. Circulating news came from the Japanese automotive giant, namely Toyota. The company also touted preparing LCGC seven passengers to consumers in Indonesia. However, when confirmed to the Marketing Director of PT Toyota Astra Motor (TAM), Rahmat Samulo, he was still shy to express certainty Agya seven passengers in addition to the line up in class LCGC. "No, there are no plans so far. Still we study, so far there are no plans," said Samulo told reporters on Tuesday, November 24, 2015. According Samulo, to add a new line in this regard LCGC seven passengers, Toyota has its own strategy that must be implemented, and it will not be the same as competitors. Therefore, he said, this time Toyota is still the focus of the sales Agya. Therefore, Samulo believe, the car was first shown as a world premiere in Indonesia in 2013 that up to now quite good response and sales. Nevertheless, Samulo itself did not deny, that Toyota is still studying, monitoring and see the development of LCGC seven passengers. "I do not dare to suppose, in case or case. 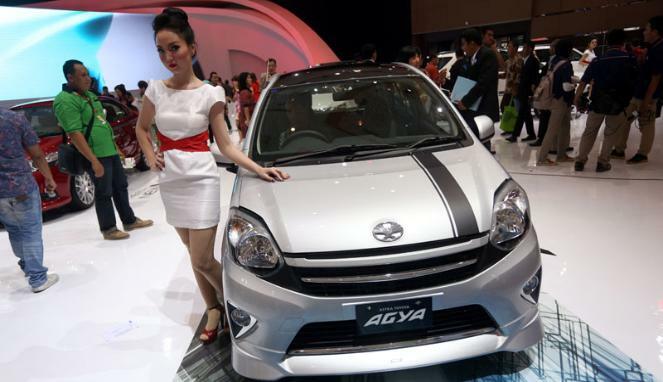 Because seven passenger cars we also have many, ranging Avanza to Alphard," said Samulo. From the information presented, apparently attracted by the best-selling Toyota sales Datsun Go+. So far, the new Datsun was playing alone with LCGC seven passengers. While Suzuki WagonR through Karimun seven-seater is still unclear drama debut. "Sales Datsun Go + was passable, so Toyota keen to participate launch LCGC Agya seven passengers." Related on price, although there is no picture, but the source said when Agya three lines it will have a tag of a little more expensive with the current edition. "The plan will be launched late next year," the source said.